Whimsical Custom Watercolor Pet Portrait Ornament with Name. These whimsical watercolor pet portrait ornaments with added name make a wonderful gift or a treasured keepsake. 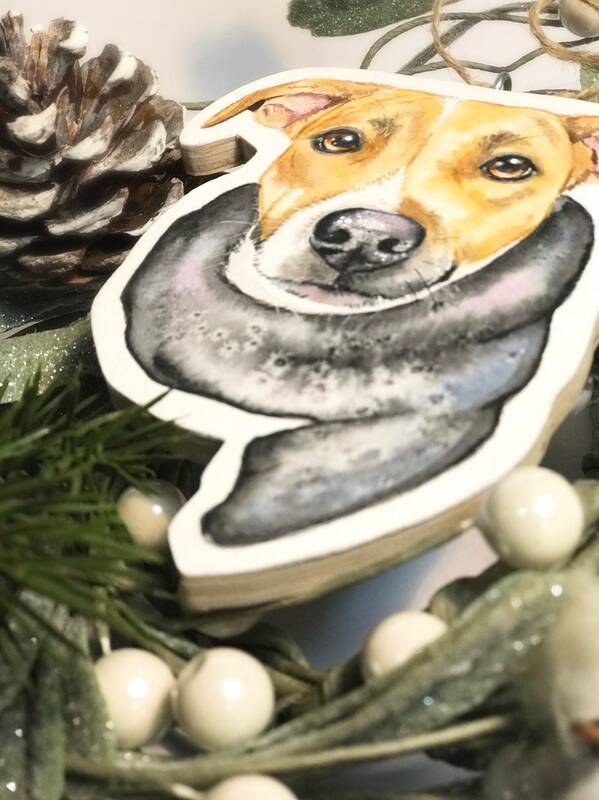 These original watercolor pet portraits ornaments offer a creative take on your favorite fur friend. My pet portraits capture the distinctive traits and character of pets. The eyes are the heart of the artwork. I strive to capture their personalities through their eyes. This style of artwork is painted on a heavy weight cold-press, 100% rag, acid-free, 140lb watercolor paper, which is mounted onto a hardwood cutout. These are also sealed with a protective satin finish. 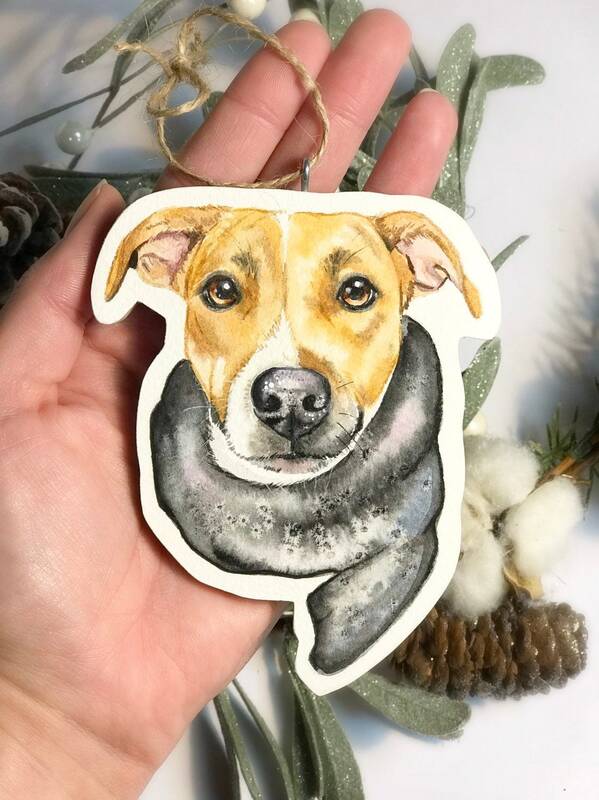 The examples listed above are some of my previous watercolor pet portrait ornaments. Please note that the images above have my watermark on them and my logo does not appear, on the actual artwork. This listing is for single pet only. 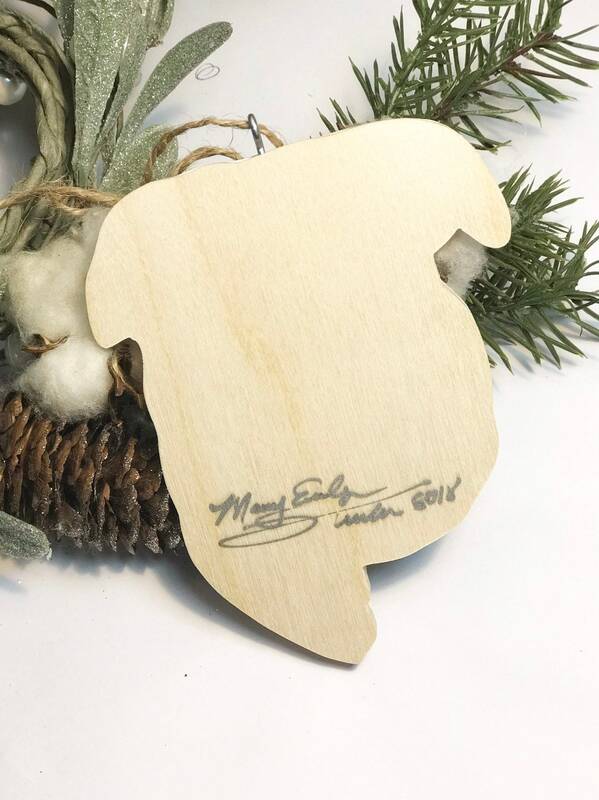 The ornament will range in size depending on the shape to be painted. The one shown is in the 4.5”x3.5” range. Please allow one to two weeks, for completion of your custom pet portrait, from the date the painting is officially commissioned. We ship all whimsical watercolor pet portraits paintings wrapped in foam core, in a clear plastic sleeve to protect against potential outside elements. 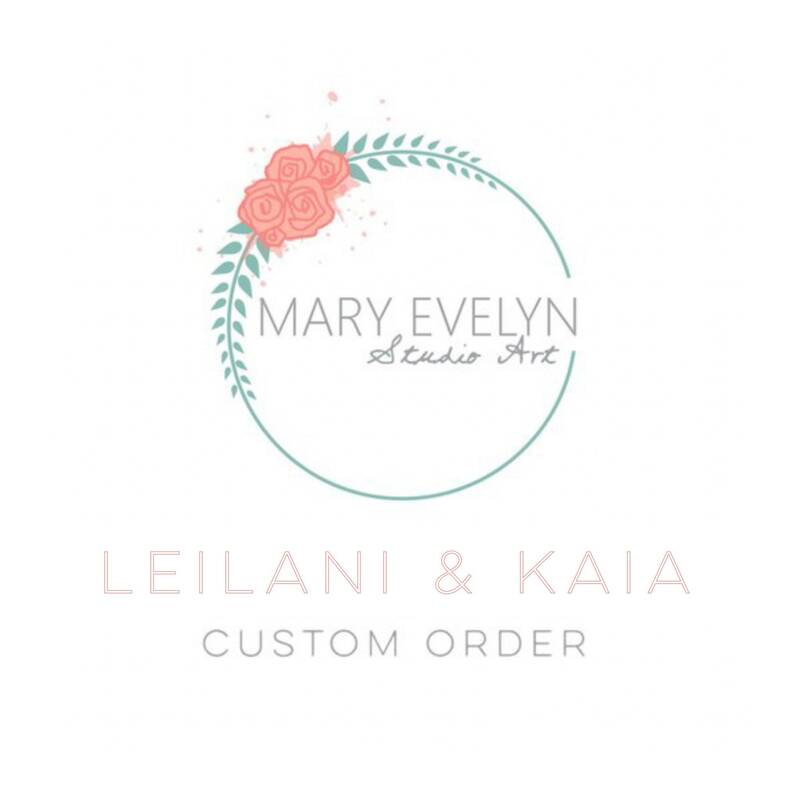 Your painting will ship via USPS with insurance, if you are within the United States. At this time, we do not offer international shipping.